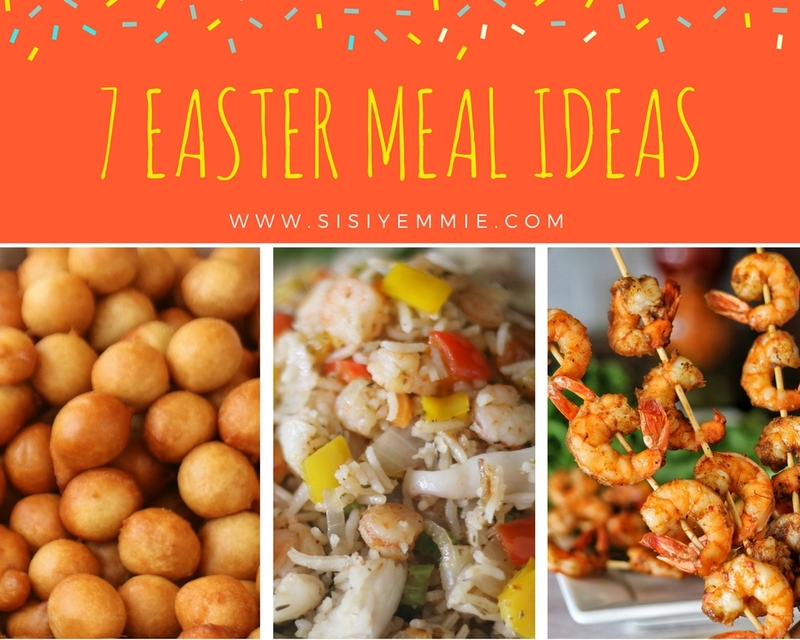 7 EASY BUT DELICIOUS MEAL IDEAS FOR EASTER! You like calamari? Shrimp nko? You know what? When making this rice, feel free to add any seafood you like-the more the merrier! This dish happened while I was experimenting with a seafood mix I bought and the result is yummmmmmmmmy! This is no doubt going to be served in my home this Easter-highly demanded by The Husband.Click HERE for the recipe. If it rains during Easter, it would be absolutely perfect because 1.) You can sleep in cozily 2.) It's a great time for Catfish Peppersoup. Guest would love it, you would love it! Apart from the messy business of cleaning catfish, the rest of the cooking should be fine. Click HERE for the recipe. I have at least 3 fish stew recipes because different types of fishes can add different delicious flavour to your stew. There's the Eja Kika Fish Stew Recipe HERE, there's the Croaker Fish Recipe HERE and Smoked Mackerel Fish Stew HERE. Anyone would go very nicely with that Frejon mentioned above. Chapman is that drink that no one would complain about. I order it overtime i go out so by now I have a very good idea of how Chapman should taste, try this recipe and you will get a delicious Chapman Cocktail. Click HERE to learn how to make it. For a long time I had a fear of making puff-puff, I could not get it right. LOL. This made me very determined to get it right and to get it right the easy way! I practiced different methods and tricks-my family suffered for this. They ate puff-puff day and night because I'm not going to just throw the bad puff-puff away nah, somebody has to eat it. Finally we got it right and this recipe is a beloved one-over 70,000k views and counting. Click HERE to see how to make it. Have a good Easter, what will be on your menu? This post just made me happy. For Easter, I don't know what I will be eating. I sha know I will be eating food and practicing some of your recipes. Tried the fish sauce with smoked mackerel but added some pumpkin leave and green peas and carrot,sisi my family loved husband inclusive.thank you.#youareadarling.The only problem I'm having now is where to purchase the Angostura,couldn't get it,so I didn't try it. THE LG NEO CHEF MICROWAVE LAUNCHES IN NIGERIA! GOOD FRIDAY MEAL : FREJON! SISI WEEKLY EP #86 "I MET JESUS IN LAGOS"